Outside, enjoy the sitting front porch, screened porch & deck, 2 car garage, & convenient access to the community pool, shopping, & major highways. Welcome Home! MLS#2245217. 5020. Princeton Manor - Upgraded features include new carpet in select rooms. MLS#2245112. 4823. The Village At Beaver Dam - Master suite includes large soaking tub, separate shower and dual vanities, massive walk in closet and trey ceilings. MLS#2245011. 297. Bishop Pointe - Fenced yard and pool too! Move in Ready! ! MLS#2245117. 1696. Mingo Creek - With the warm weather ahead, you'll love the huge deck perfect for grilling & gathering! MLS#2240251. 297. Knightdale - Presale entered for comp purposes. MLS#2244766. 946. Lewis Landing - Do Not Miss This Great Updated Listing!!! ! 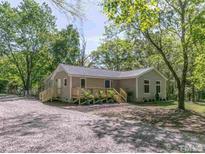 MLS#2244697. 2742. Churchill - Upgraded features include fresh interior paint, new carpet in select rooms, and a new HVAC. MLS#2244461. 4823. 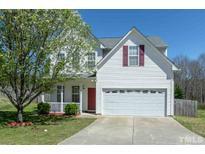 Knightdale - Not to mention the large finished basement with a large Recreation room and bedroom completes this amazing home. 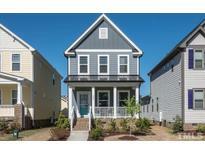 MLS#2244394. 2527. Features a first floor master, updated kitchen that opens up to the dining area, new carpet & floors, freshly painted, new countertops, rocking chair covered front porch & large fenced in back yard with deck. Definitely a must see! MLS#2244236. 2560. Come fall in love with this home and all of the great memories you can create here! MLS#2244045. 3196. Knightdale - You don't want to miss this! MLS#2243674. 2527. Princeton Manor - Lots of openness and sunlight. Motivated seller! MLS#2243664. 1128. 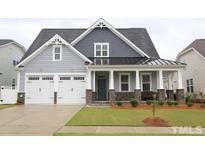 Churchill - Conveniently located pool community w/walking trails & quick access to Downtown Raleigh, restaurants & shopping. 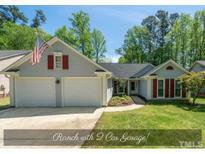 MLS#2242774. 1502. This one won't last long!! ! MLS#2243217. 4852. Home Warranty offered, Refrigerator, Washer & Dryer convey. Welcome Home! MLS#2243518. 2611. Family Room: Tile Srrnd GasLog Fireplace w/CstmMantle, TrpleWndw & FrnchDoor to Rear Covrd Porch & Patio! Huge WalkUp Unfin 3rd Floor! MLS#2243144. 1128. Large Upstrs Bonus! Huge WalkUp Unfin 3rd Floor! MLS#2243155. 1128. Princeton Manor - Don't miss out on the opportunity to see a wonderful home. MLS#2243034. 2739. Rockbridge - Stock photos shown for representation purpose. MLS#2243018. 835. Cheswick - Walk to pool & playground. Convenient to DT Raleigh! 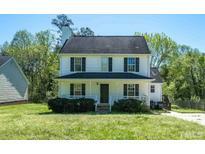 MLS#2242433. 372. Poplar Creek Village - Located just minutes from downtown Raleigh, this Knightdale home features hardwood floors, crown molding, granite counter tops, tile backsplash, stainless steel appliances, spacious master BD with tray ceiling, garden tub/separate shower in master bath. 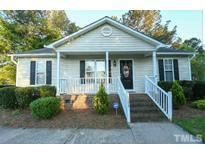 MLS#2242381. 297. 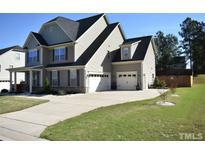 Located near Knightdale Station park & YMCA pool. Convenient access 540 & 264/87. MLS#2242483. 3313. Nicely landscaped. Pool community. Virtual Tour; photosentience.com/maurepas MLS#2242603. 5026. Hidden Hollow - Please submit all offers by 5pm on 3/17 MLS#2242366. 2017.